Gently fry the onions in a little olive oil for about 5 minutes. 3. Put the onions, mushrooms and all other ingredients (apart from the pasta) into an ovenproof dish and mix thoroughly. Bake in the oven for 40 minutes, or until the chicken is cooked through. 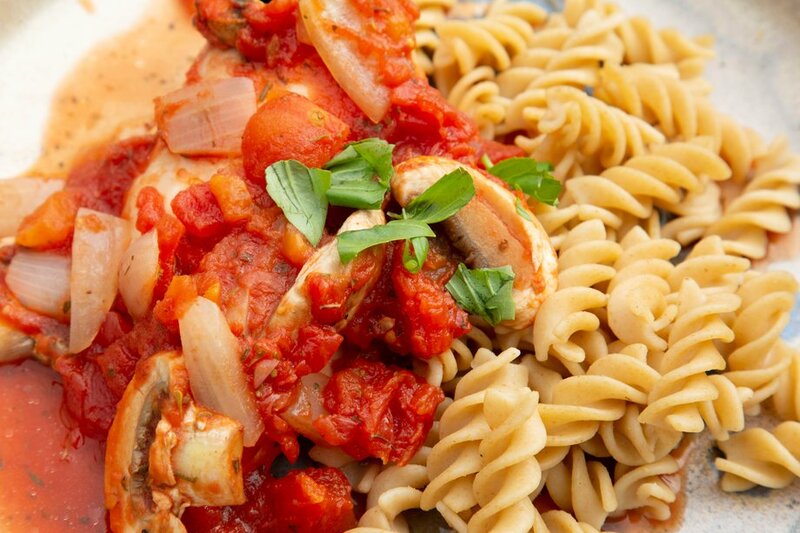 Serve the chicken with the pasta, and garnish with fresh basil. These figures apply to a portion served with 220g of cooked pasta.